CEFAPIT is the Spanish Confederation of Official Tourist Guides. It includes Federations and Associations of Official Tourist Guides from all over Spain. What are the objectives of CEFAPIT? CEFAPIT represents the Official Guides of Spain through the official mechanisms in the FEG (European Federation of Guides) and WFTGA (World Association of Tour Guides) being the highest representative body in Spain of the Official Tourist Guides: “the voice and vote” of the professionals in the sector. Who can be part of CEFAPIT? Any Federation or Association of Official Guides from the regions of Spain. In each Province or Autonomous Region there are Federations or Associations that work for the associationism and the defence of the profession. To do this, you must be up to date with the payment of a fee that is stipulated at all times. The payment of this fee helps to maintain a minimum but effective representative structure to represent the Official Guides of Spain in any national or international event. How can I join CEFAPIT? 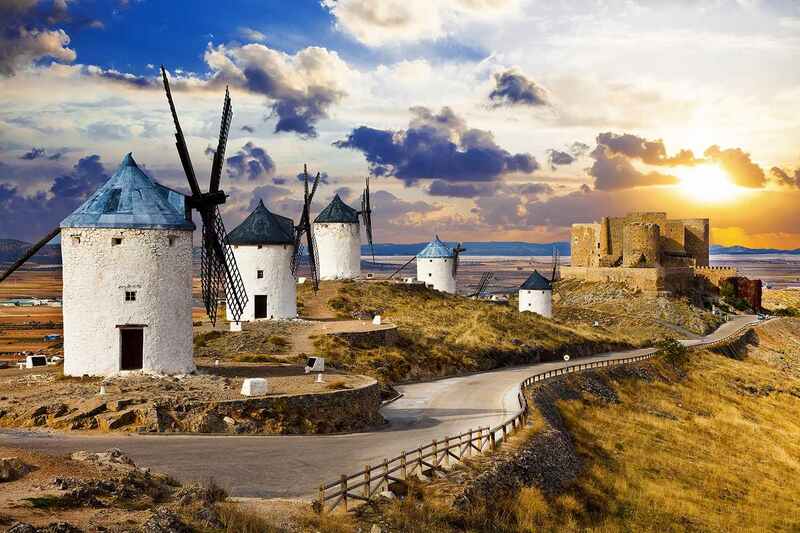 If you are an Official Guide in any autonomous region or province of Spain, look for the Association that represents Official Tourist Guides in your Region. Most of these organizations at national level make up CEFAPIT. To which other bodies does CEFAPIT belong? Belonging to CEFAPIT means being a member, in addition, to the European Federation of Guides (FEG). This Federation is the one that watches at European level for the figure of the guide offering defence of the profession against the changes in the European Union, formation, representation, etc. At annual level it meets in a European city to give account of the situation of each National Association (Spain, Portugal, France, Germany, etc). In addition, through the FEG in Europe, CEFAPIT is also a member of the WFTGA, which is the World Association of Tour Guides. This association is the one that watches over the figure of the Official Tourist Guide. It hosts an Assembly every 2 years in a different city and guides from all over the world come together to work on the situation of the Official Tourist Guide, its training, regulations, master class, etc. What happens if in my Autonomous Region or Province there is another Association that belongs to CEFAPIT? For each region, province or Autonomous region, only one group may belong to CEFAPIT. CEFAPIT works to join forces and work jointly to defend the profession. If there are several Associations in your Region, we recommend the joint work and that only one collective (even forming a Federation) is represented in CEFAPIT. Who forms the CEFAPIT Assembly? CEFAPIT normally meets, at least, annually at the Ordinary General Assembly (AGO). This convention is formed by an executive board, with President, Vice-President, Treasurer, Secretary and Members as well as a delegate from each Federation or Member Association. To this AGO any federation or association can send a “delegate” (it does not need to be its president) who will speak in convention on behalf of the group of guides it represents. What is done at an Ordinary General Assembly of CEFAPIT? The main part is where the minutes of the previous assembly are read, the accounts of the entity are presented, each Federation or Association also presents a report on the situation of its group of guides reporting in terms of number, characteristics of the associates, calendar of activities, fam trips, training actions, dissemination in Social Networks, giving of accounts, etc., various issues are dealt with in working groups, coordinated by CEFAPIT, related to the performance of the profession with points to be dealt with proposed by the different associations. Therefore, belonging to CEFAPIT is a SEAL OF QUALITY, as attending a convention of this type is a perfect audit for each Association or Federation. ¿Por qué un encuentro de Guías en cada AGO? As it has been usual in the last meetings and according to the models of the FEG (European Federation of Guides) and WFTGA (World Association of Tourist Guides) in parallel with the AGO (Ordinary General Assembly) a range of events such as workshops, guided tours, presentations, networking, etc. where members of CEFAPIT (that is: guides who through its regional association belong to CEFAPIT) and partners can participate. This structure was launched in a very positive and positive manner in Oviedo 2015 and will continue in Murcia 2016, Santiago de Compostela 2017 and the next one Tenerife 2018. CEFAPIT, through its executive, represents the Official Guides of Spain in any national and international event where representation of the Spanish Guides is required. There are regular meetings with regional, national and European bodies to resolve situations and work together in the proper development and visibility of the profession. To belong to CEFAPIT is to bet for the professional development of the profession. What are the channels CEFAPIT uses to make itself known? CEFAPIT has distribution tools such as a web portal www.cefapit.es and it´s presence in Social Networks such as Twitter @CEFAPIT, Facebook.com/Cefapit or Linkedin. The publishing of the content is constant in addition to the fluid communication with internet users who ask, share, express, etc. The content and articles published by CEFAPIT respond to a Marketing plan drawn up with the aim of giving the highest visibility to the work of the official guides, as well as defending the collective. This marketing plan is making it possible for users to see the figure of guide needed in terms of interpretation and make it possible for them to have more visibility regarding the image of a strong and competent body when it comes to defending the Official Guides of Spain.